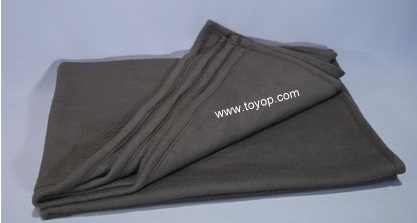 Synthetic blankets are made of virgin fibers from polyester or acrylic materials. Some cotton may be included in the yarns. 5mm minimum (1KPa on 2000mm2). Other than black, red, or white, dark uniform color (i.e. dark blue, grey or brown).